The surge in obesity among children and adolescents in the U.S. poses a number of serious physical, psychological and emotional issues. Educating the public on the psychological problems of childhood obesity is paramount in reducing the serious effects of the epidemic, according to experts at the Texas Department of Health. If your teen is obese or overweight and shows psychological symptoms, consult the guidance of a qualified professional who can provide proper treatment. According to research performed by Dr. Richard Strauss at the University of Medicine and Dentistry in New Jersey, obese teens have significantly lower self-esteem than teens of normal weight. Low self-esteem often appears as loneliness, nervousness and sadness. Teens with low self-esteem may also engage in risky behavior such as experimenting with drugs, alcohol or cigarettes. Obese teens who experience low self-esteem during childhood and adolescence often carry these feelings into adulthood. Depression is a common psychological effect of teen obesity. An obese teen who is heavier than her peers may experience feelings of sadness or hopelessness. Signs of depression include changes in sleep patterns, withdrawal from family or friends and loss of interest in activities she previously enjoyed. Some teens try to hide depression and appear emotionally flat rather than sad. Most children experience anxiety for various reasons throughout adolescence. Obese teens, however, may experience severe anxiety that often results in destructive behaviors or avoidance of friends and family. Overweight teens may also have social anxiety, the result of excessive bullying or teasing. Severe anxiety often interrupts the learning process and may lead to a decline in academic performance. Being an overweight teen can also affect an individual's anxiety level as an adult. Research conducted by Dr. Sarah Anderson and her colleagues published in "Psychosomatic Medicine" revealed that overweight teen girls may have a higher chance of developing anxiety disorders or depression in adulthood. Obese teens often experience poor body image as a result of being overweight. This may keep your teen from playing sports or engaging in physical activity, spending time with friends or wearing form-fitting clothing. Poor body image is connected to a number of psychological problems, including depression, anxiety and low self-esteem. 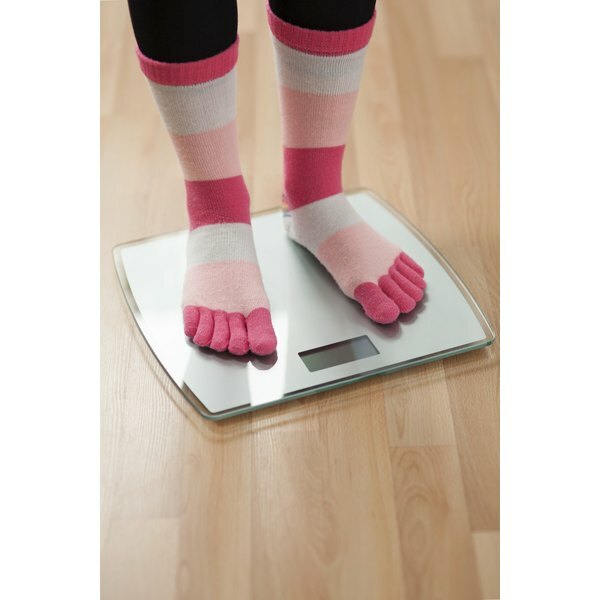 Teens with poor body image are also at risk of developing an eating disorder. Obese adolescents are at risk of developing disorders such as bulimia, anorexia or compulsive overeating. An eating disorder is often the result of an overweight teen's effort to lose weight through risky and unhealthy behaviors. If you suspect your teen has an eating disorder, consult a medical professional immediately.